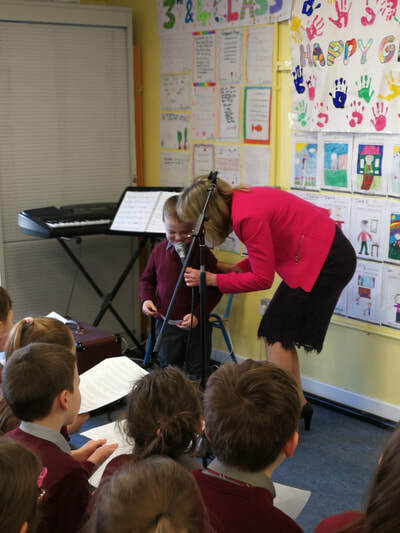 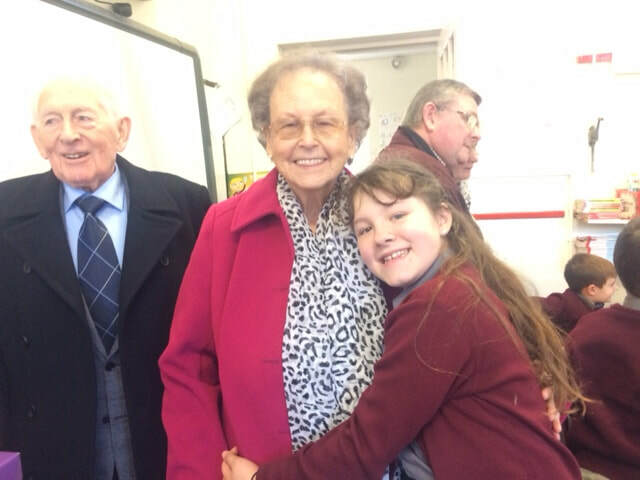 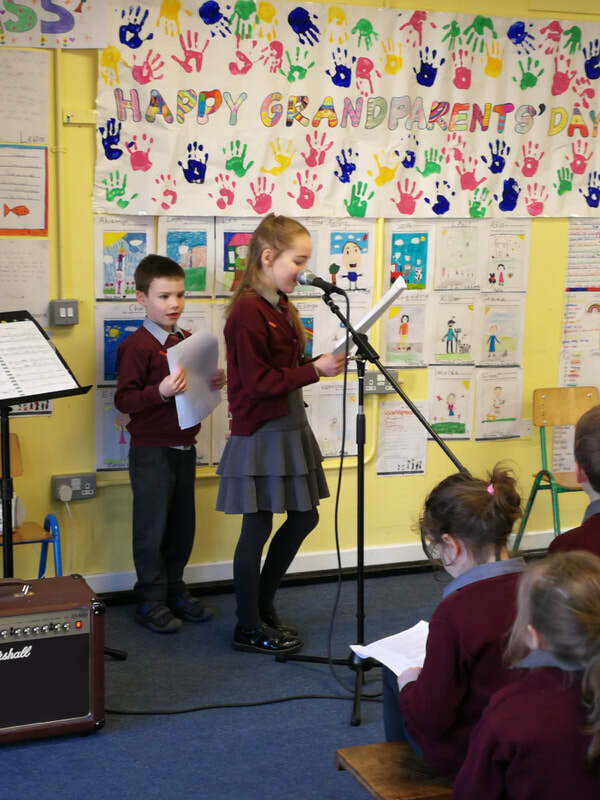 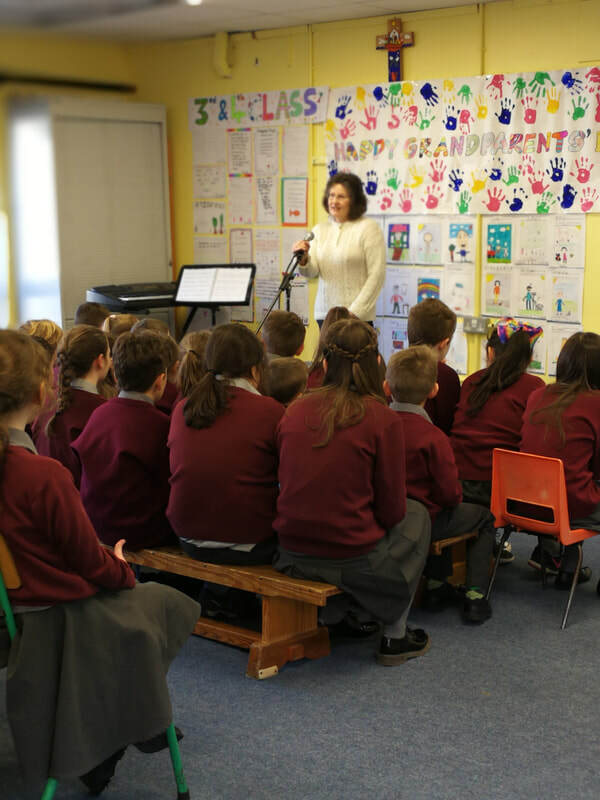 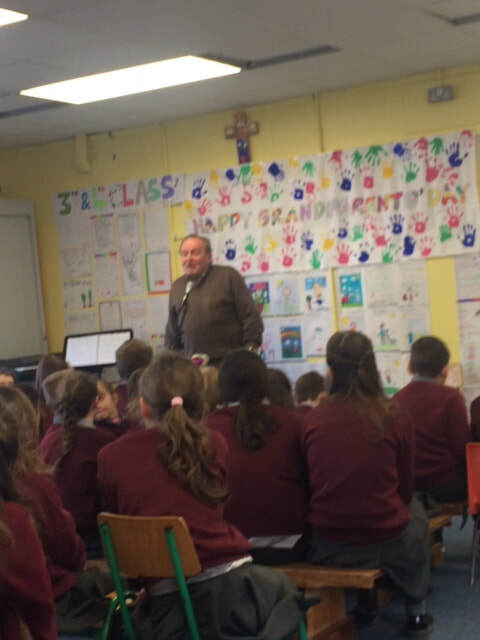 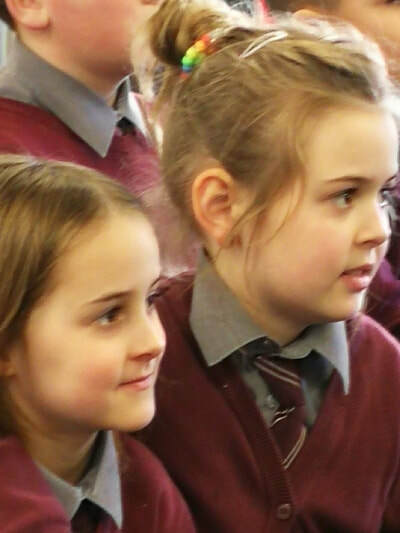 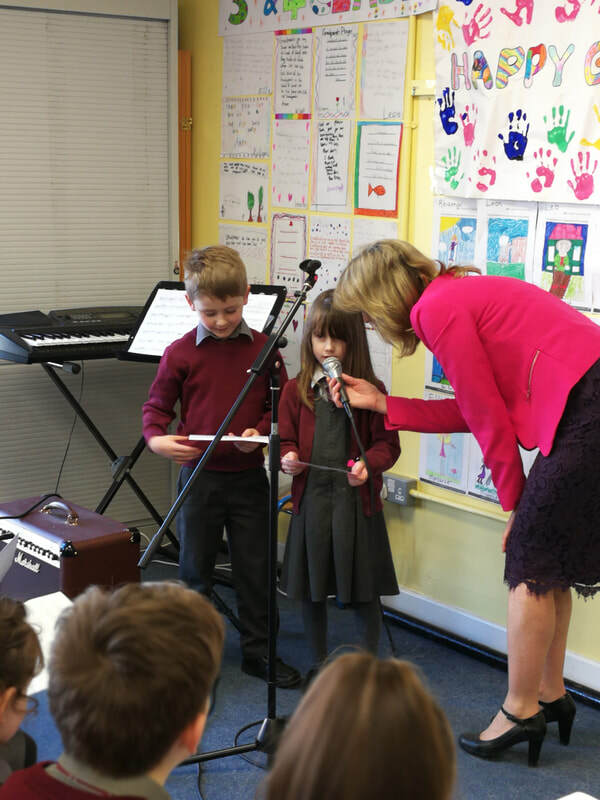 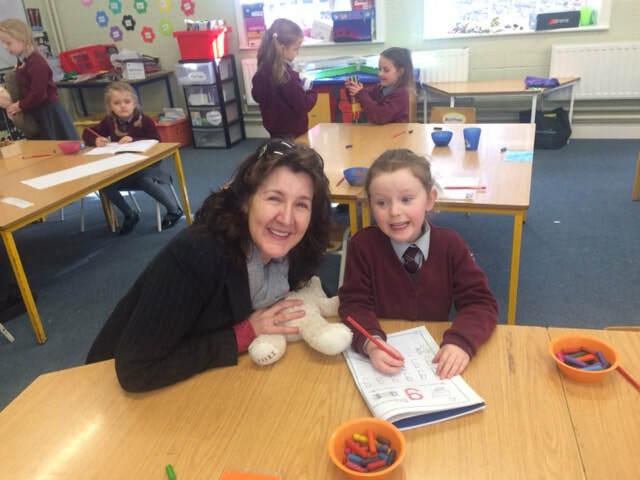 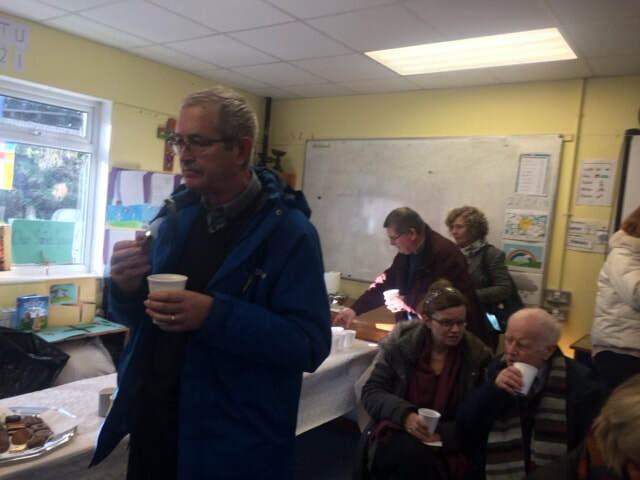 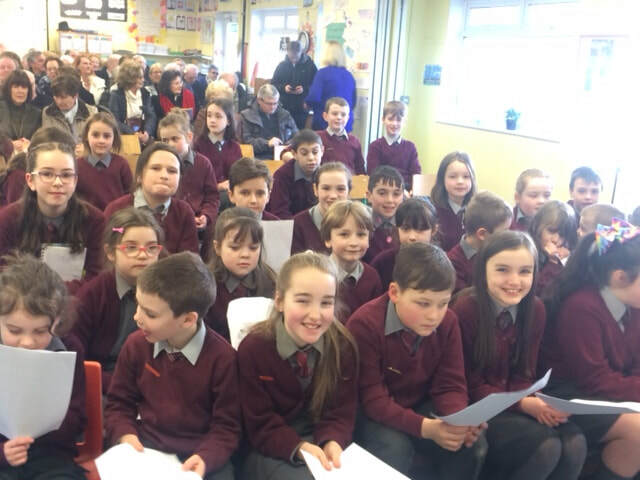 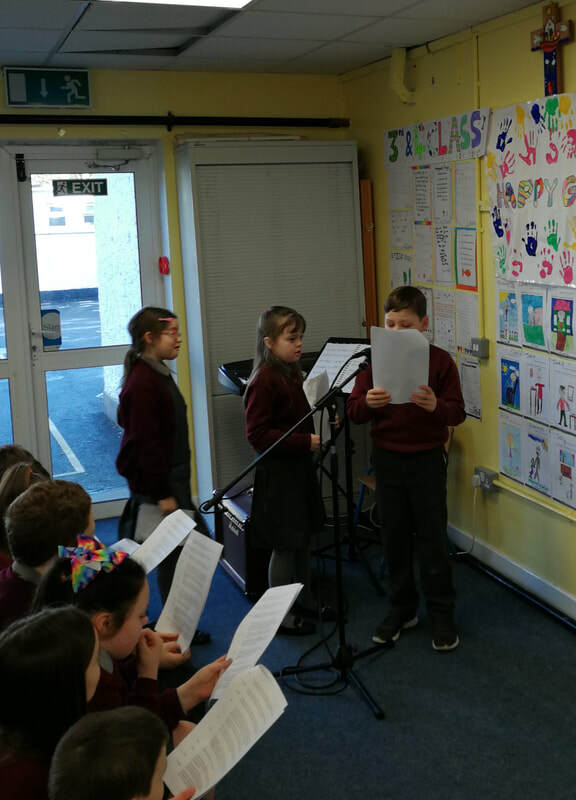 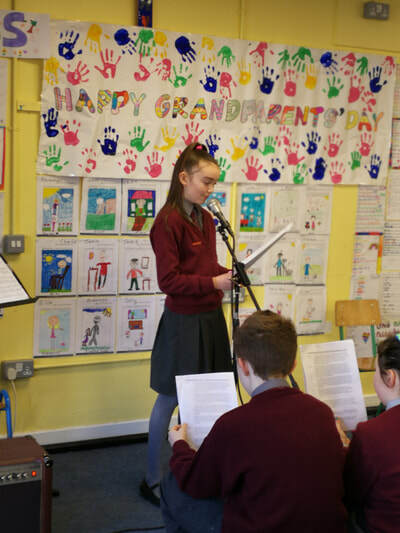 What a beautiful time we had on 2nd February when our Grandparents visited us in Edmondstown. 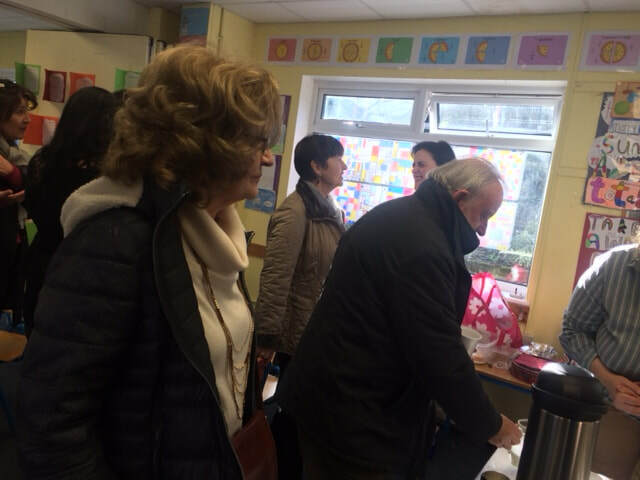 There was great excitement as our visitors arrived. 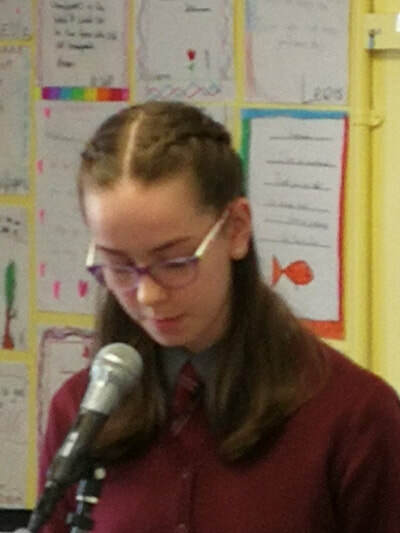 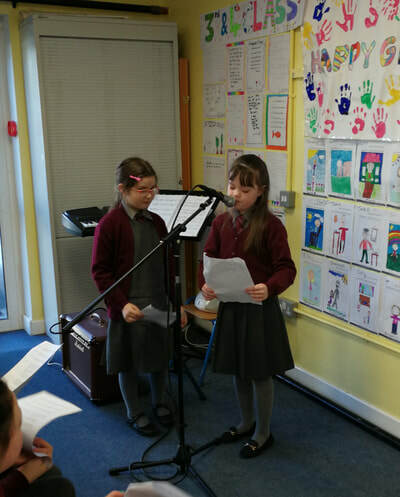 The Student Council led the entire proceedings and they were fantastic - wonderful ambassadors for our school. 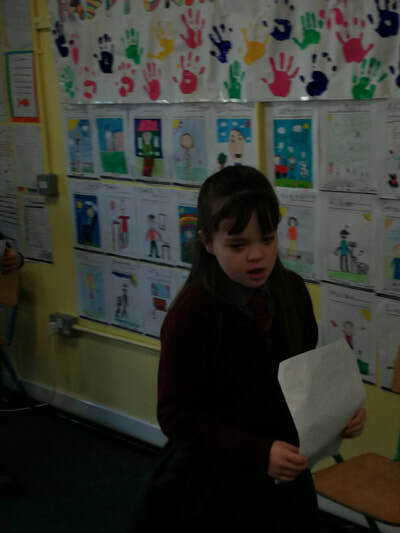 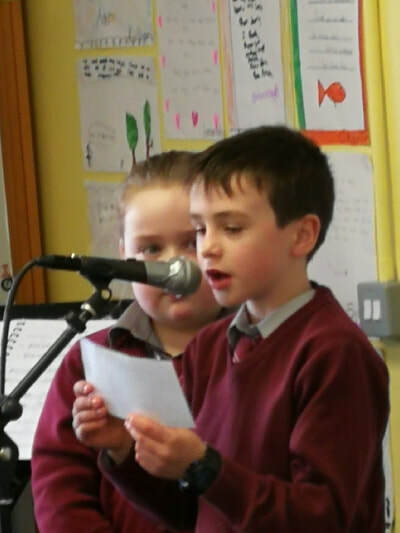 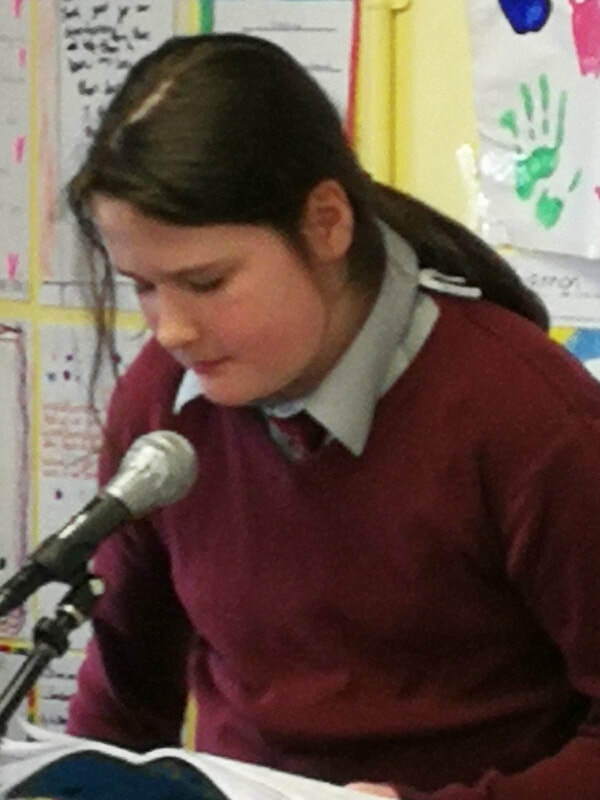 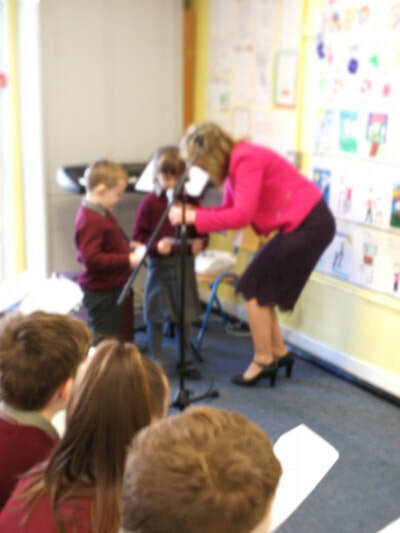 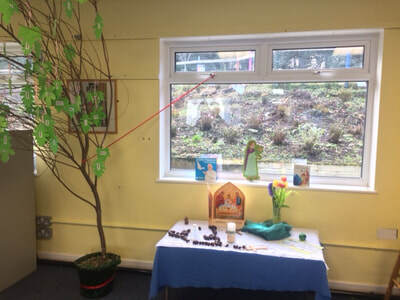 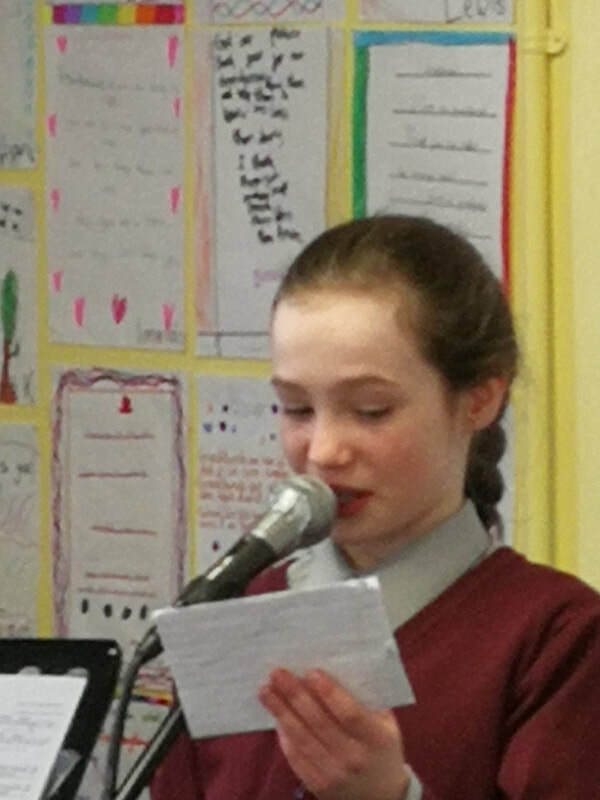 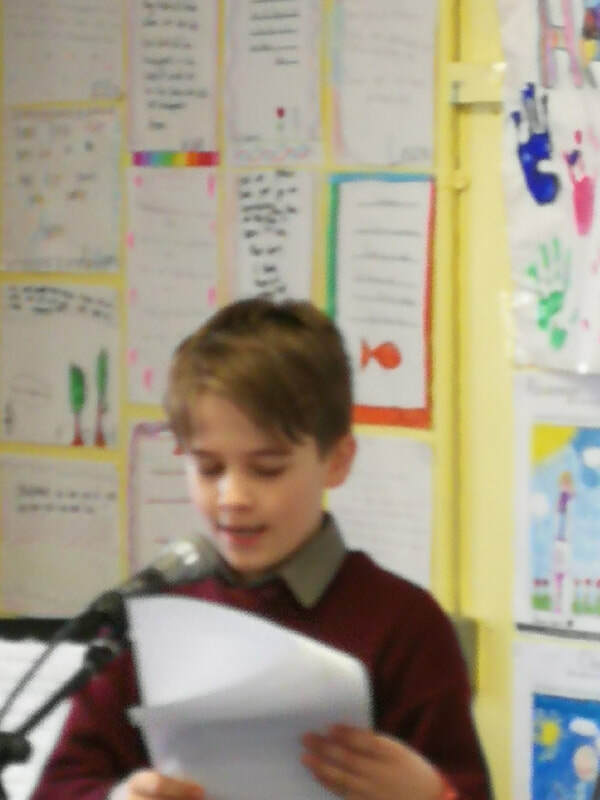 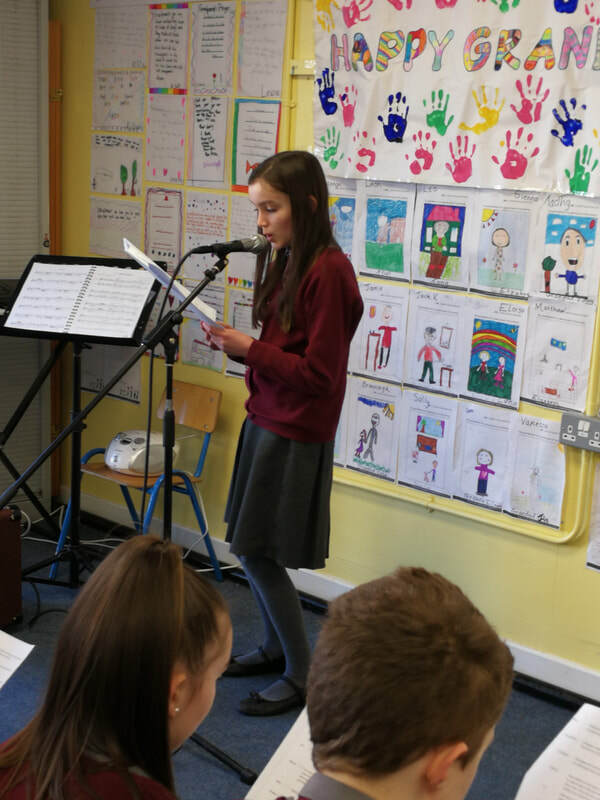 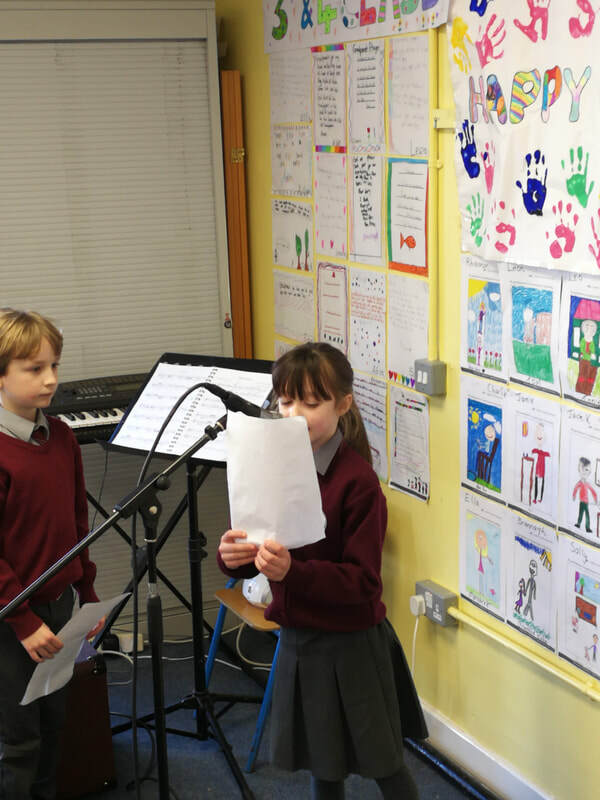 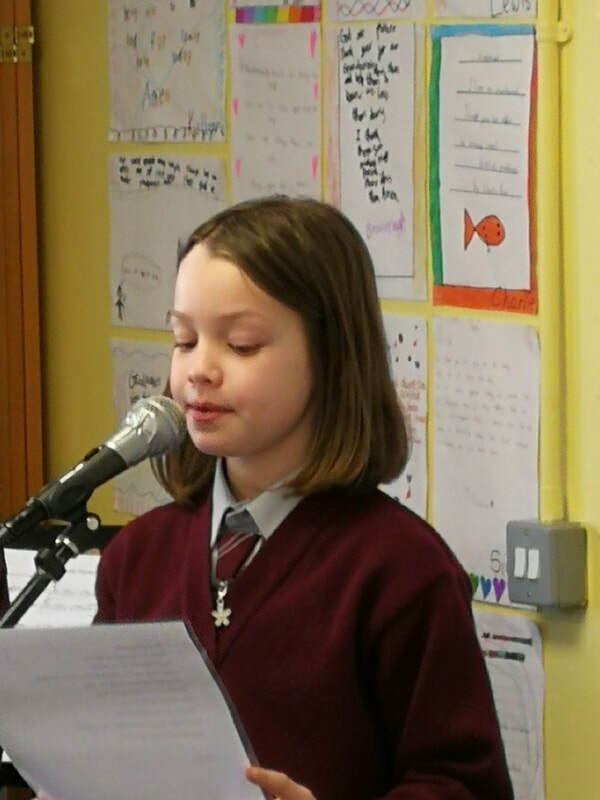 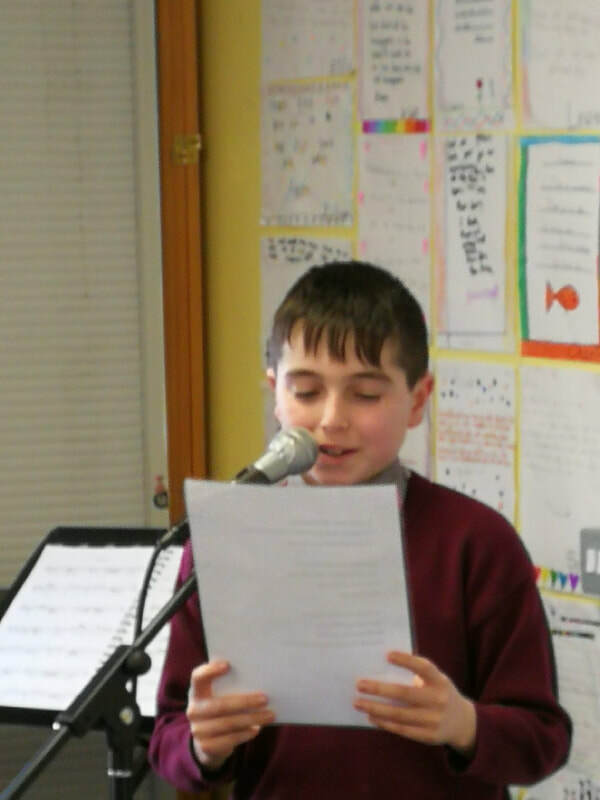 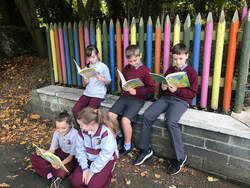 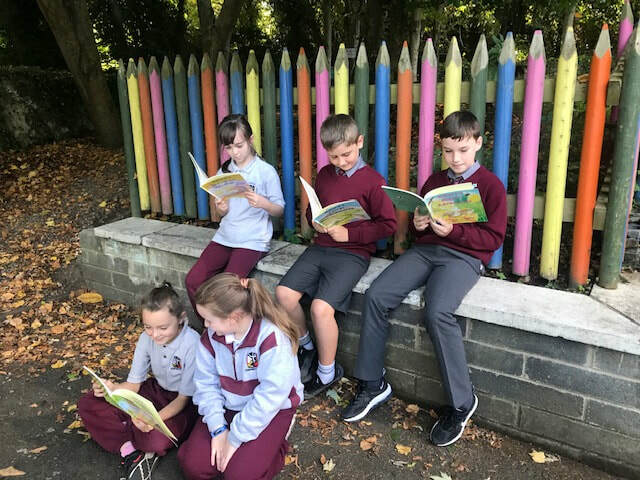 Some children from each class read poems and prayers - they were funny and poignant. 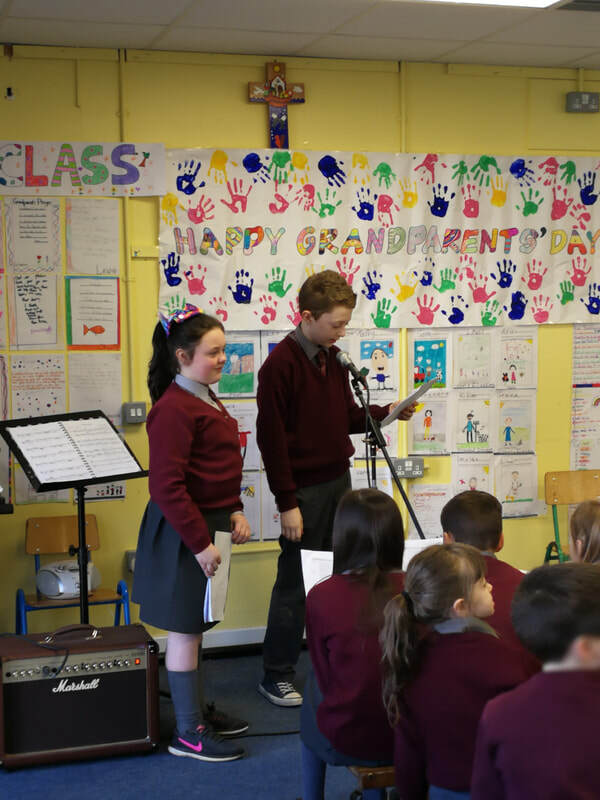 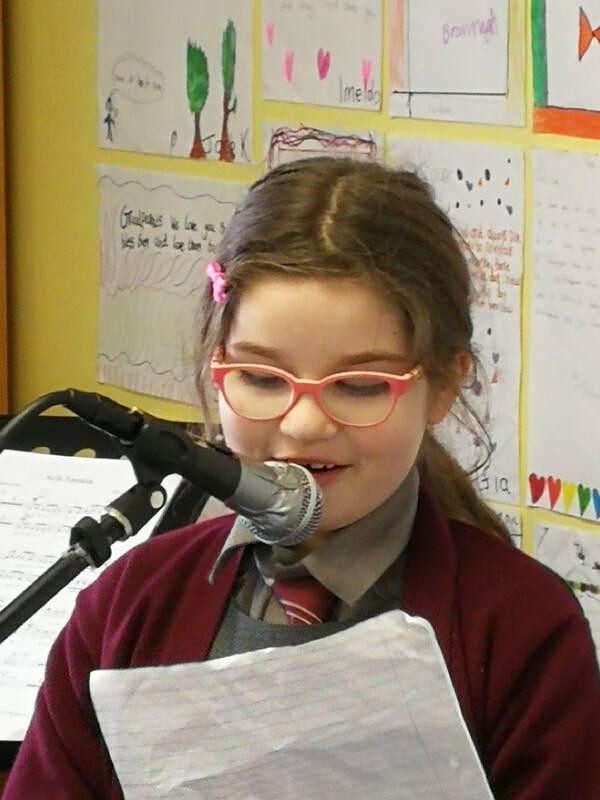 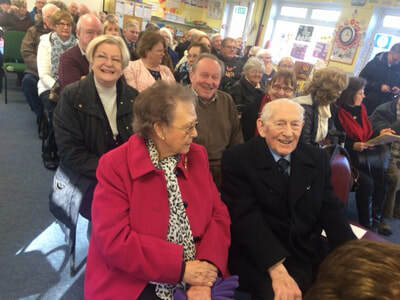 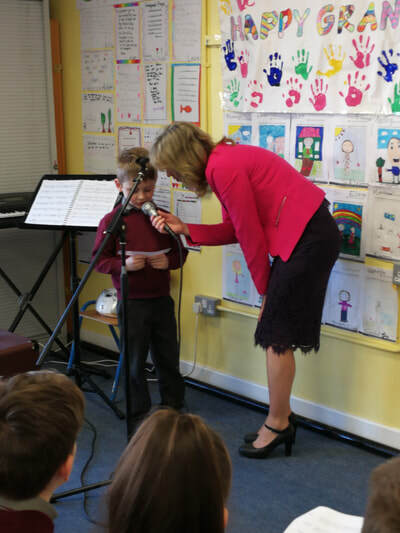 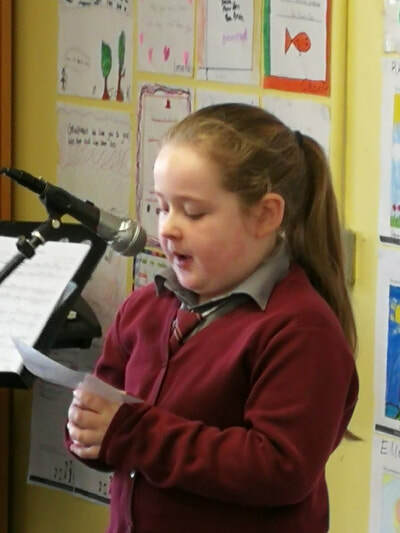 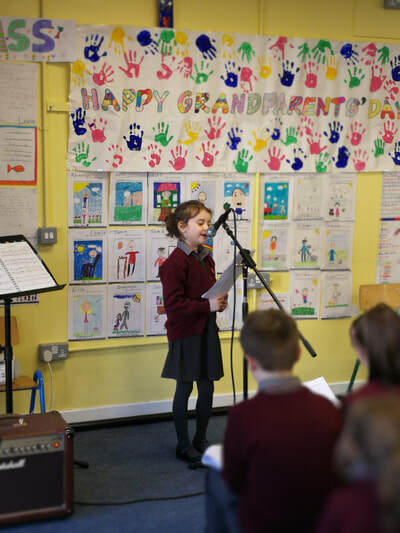 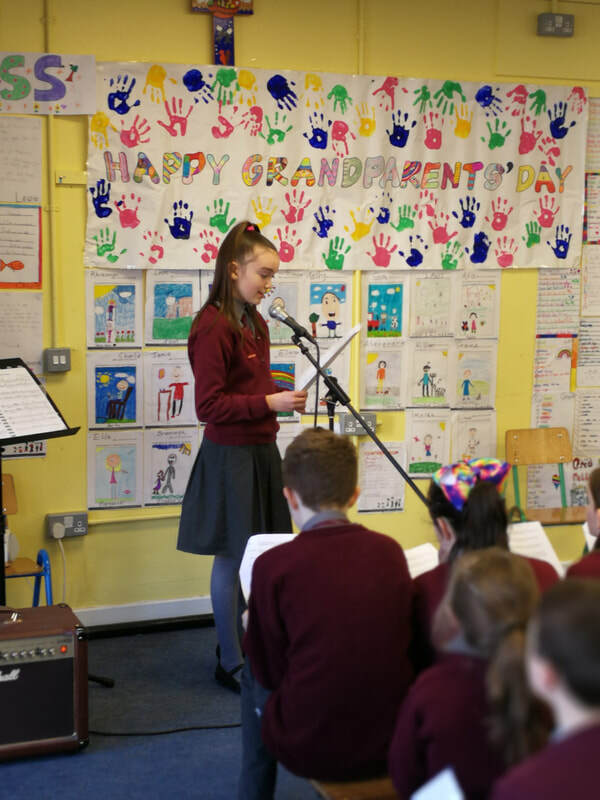 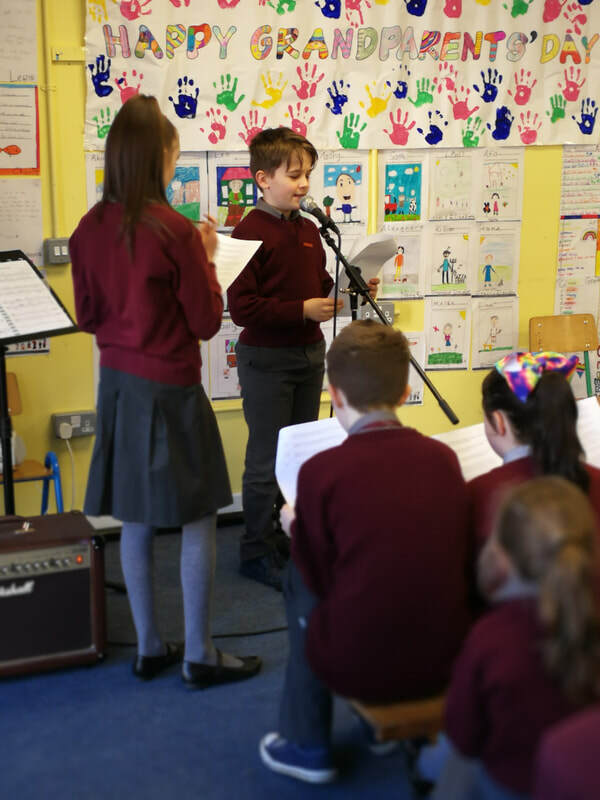 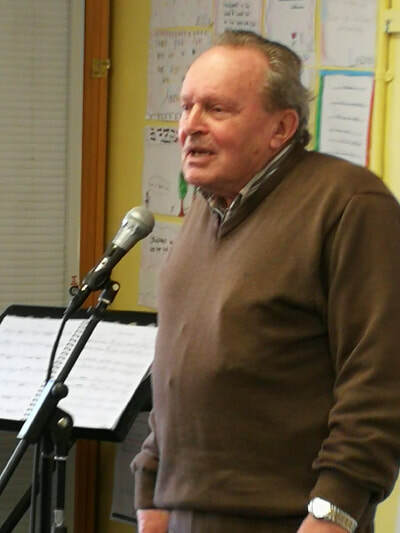 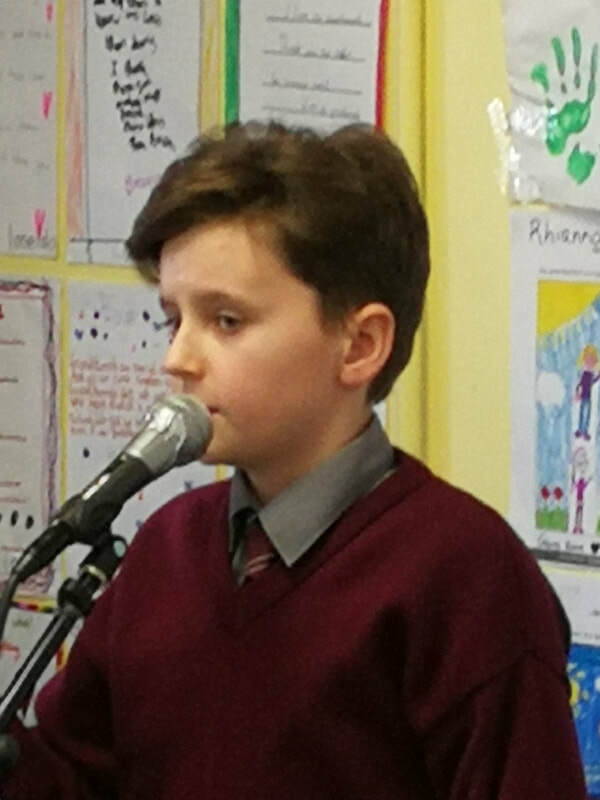 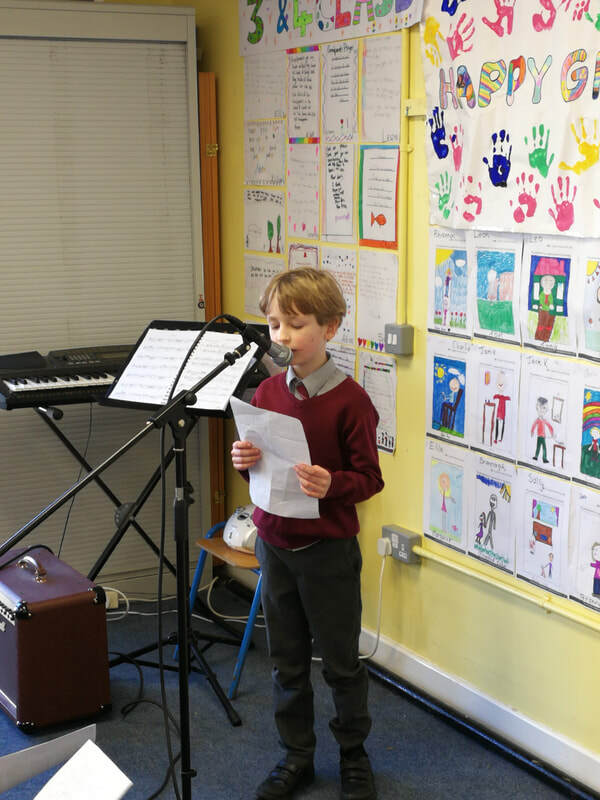 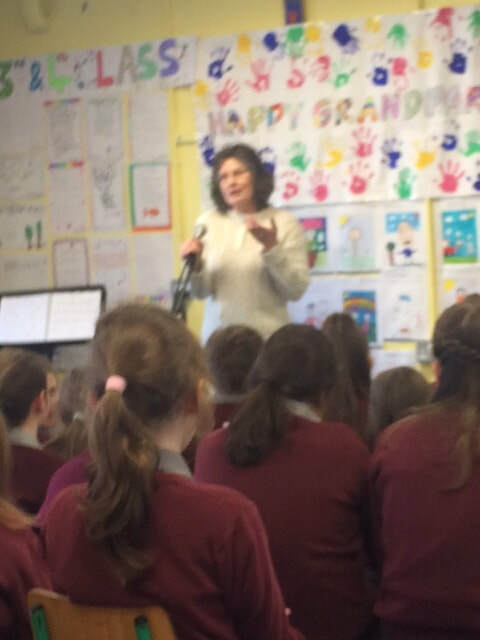 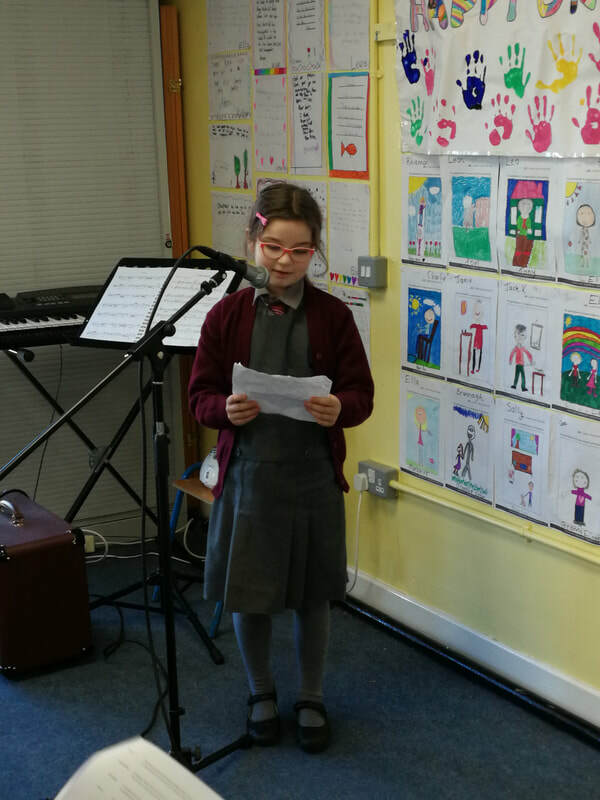 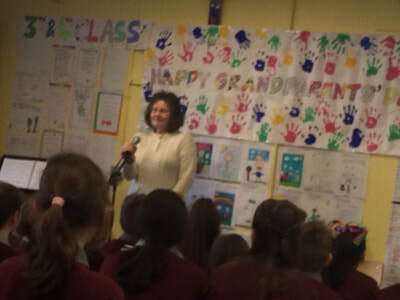 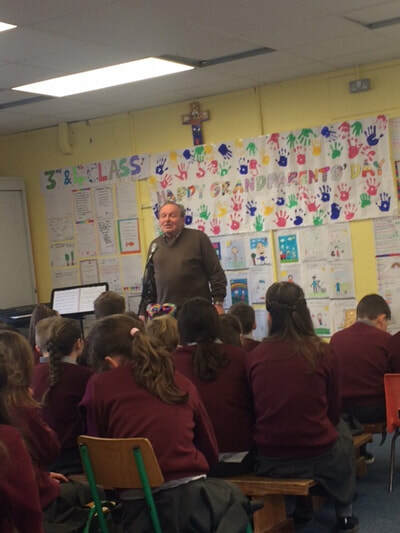 A wonderful highlight was when Mrs Geraldine Cullen sang "Dublin in the Rare Auld Times" and when Mr. Jim Molloy spoke so movingly about what it means to him to be a Grandparent. 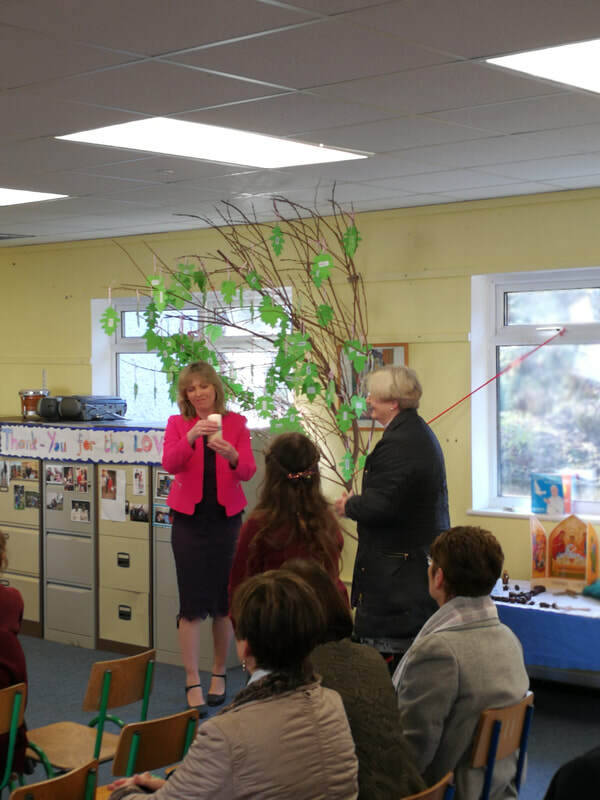 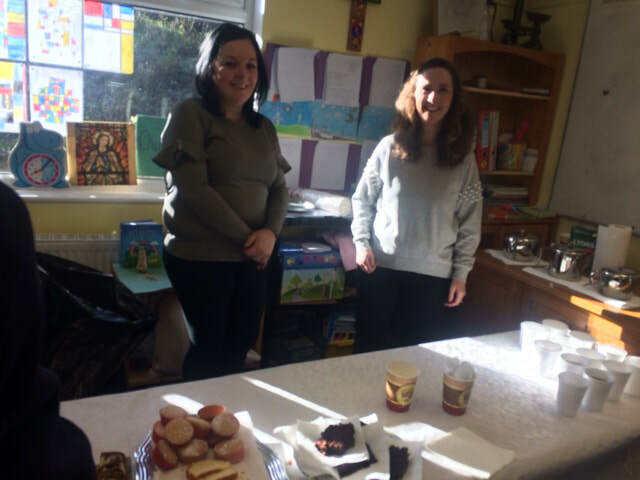 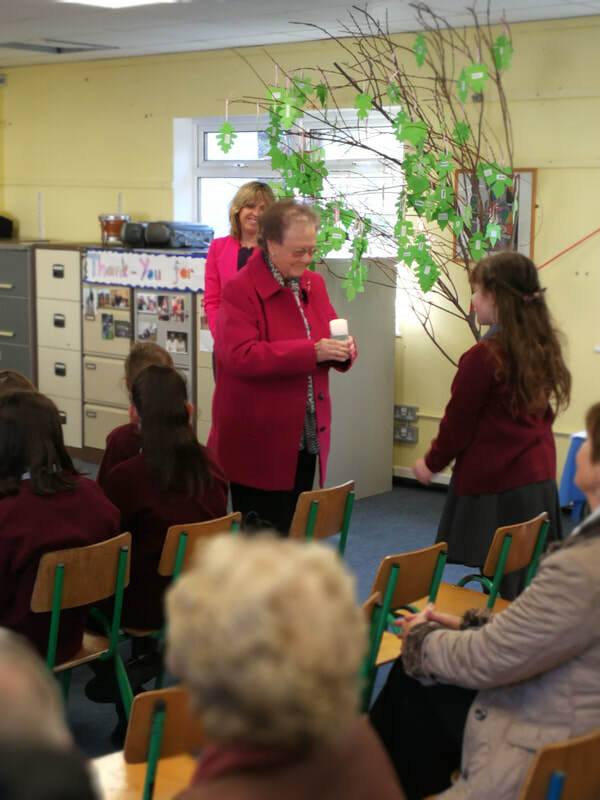 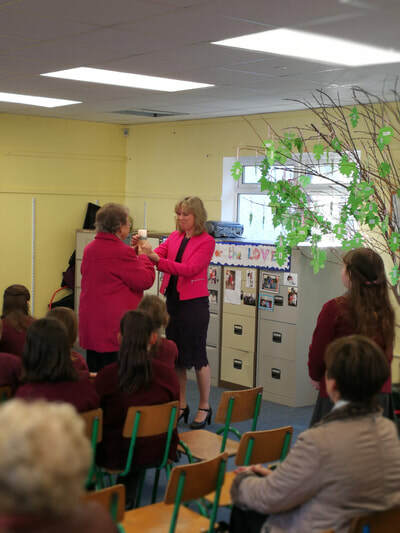 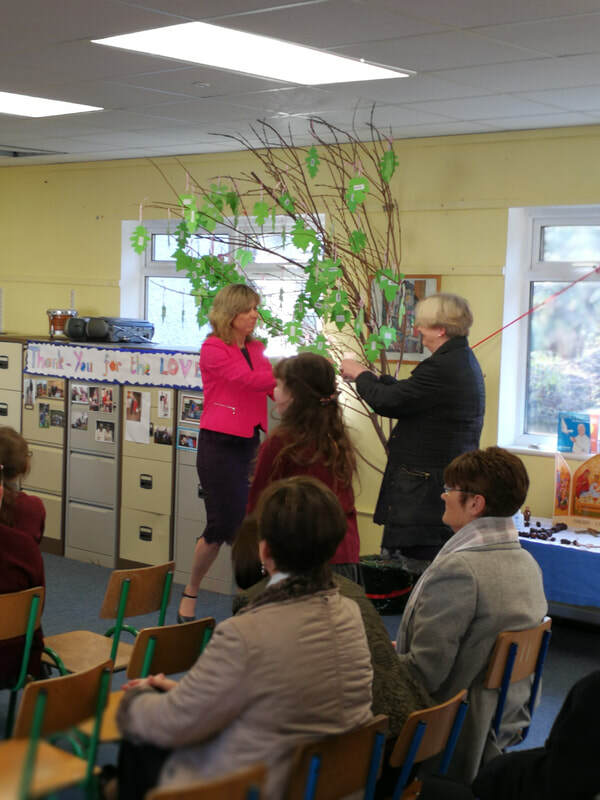 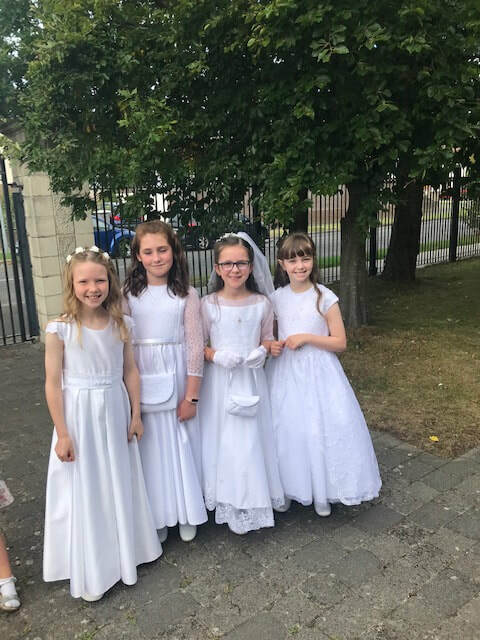 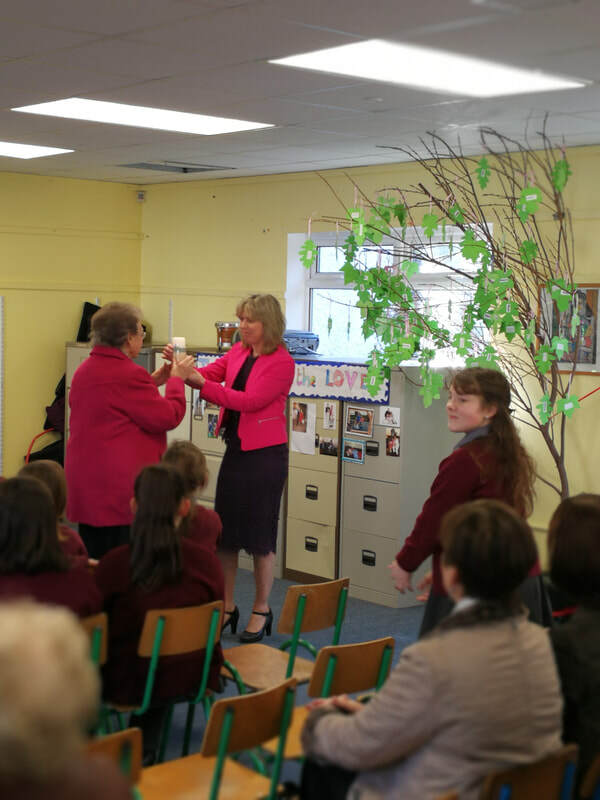 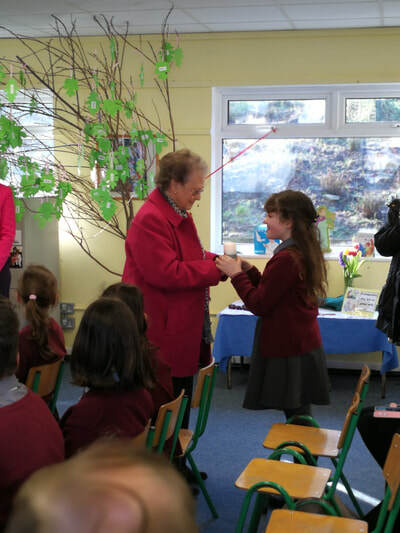 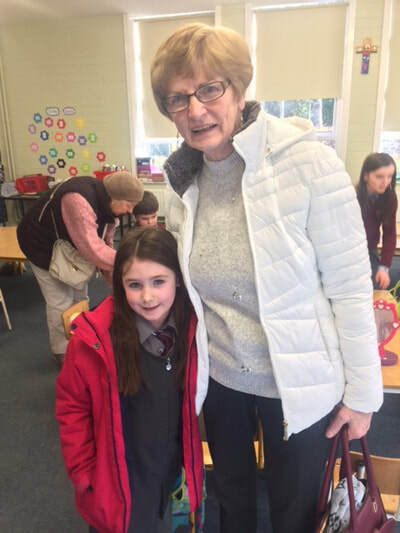 Mrs Bernadette Toal represented the parish and passed on our Catholic Schools' candle to Mrs Cleary who then passed it on to Mrs Elizabeth Stokes who gave it to her granddaughter Rebecca. Rebecca carefully placed the candle in our prayer space. 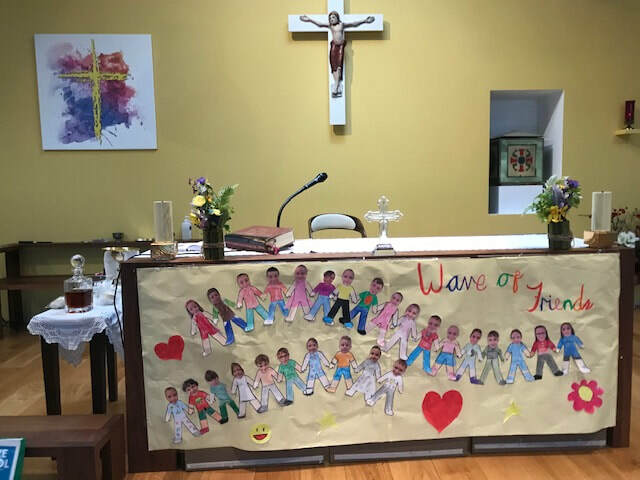 This ceremony represented the triangle of influence on a child's faith formation - Parish, School and Home. 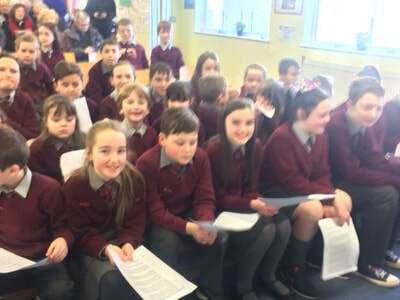 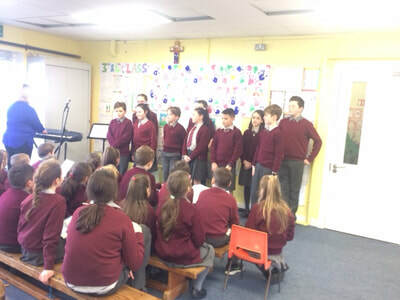 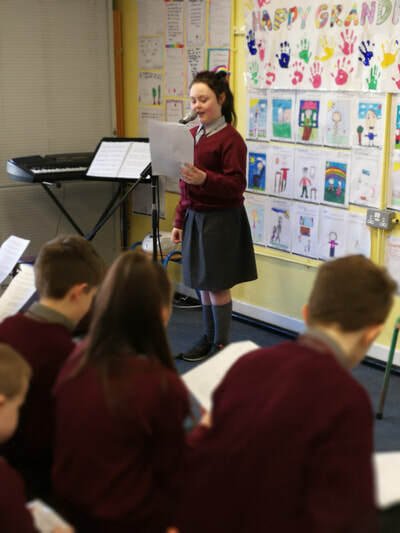 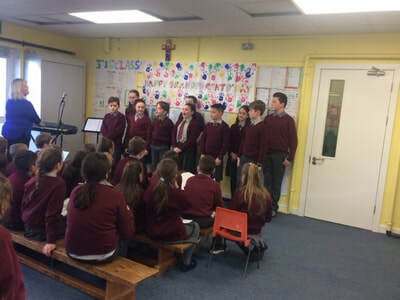 A representative group from the school choir under the wonderful baton of Ms Wallnutt then gave us a lovely rendition of some beautiful songs. 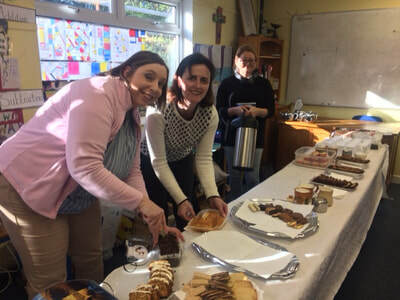 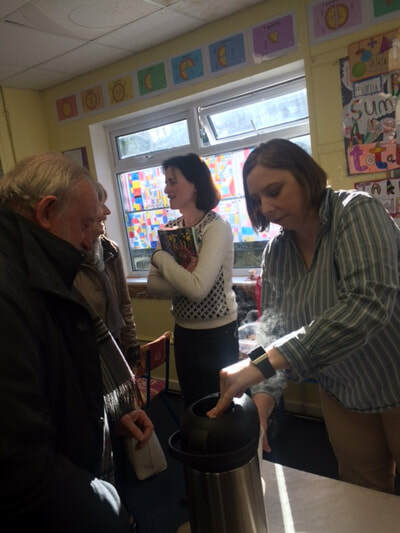 The Parents' Association were fantastic as usual and provided everyone with a nice cup of tea and some home-baking. 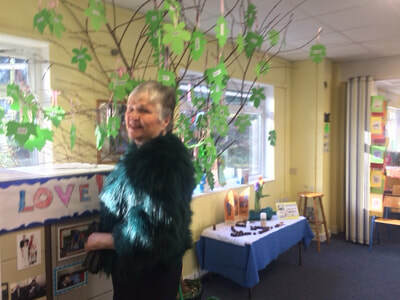 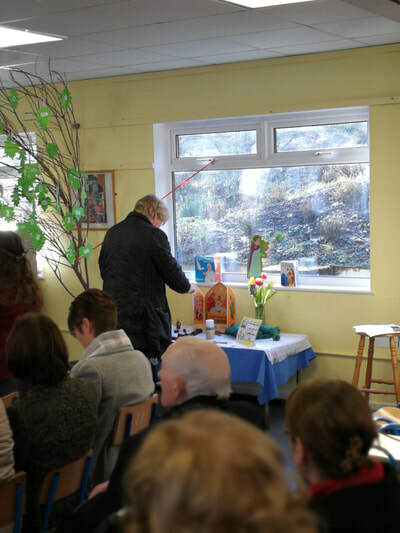 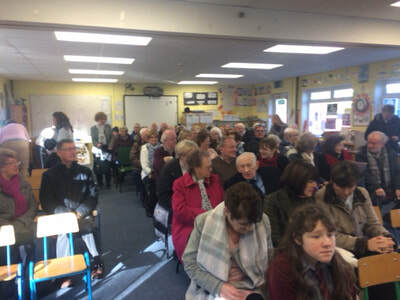 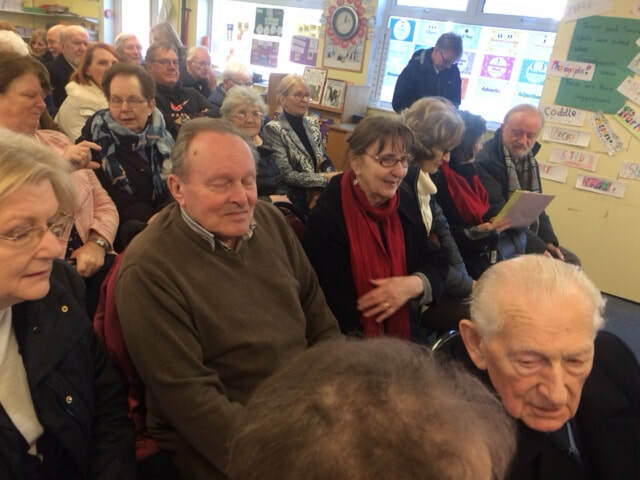 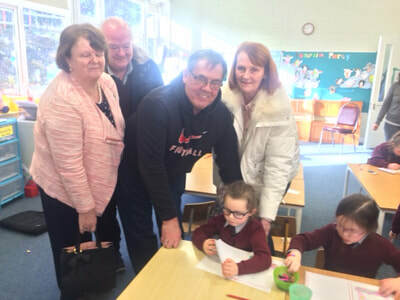 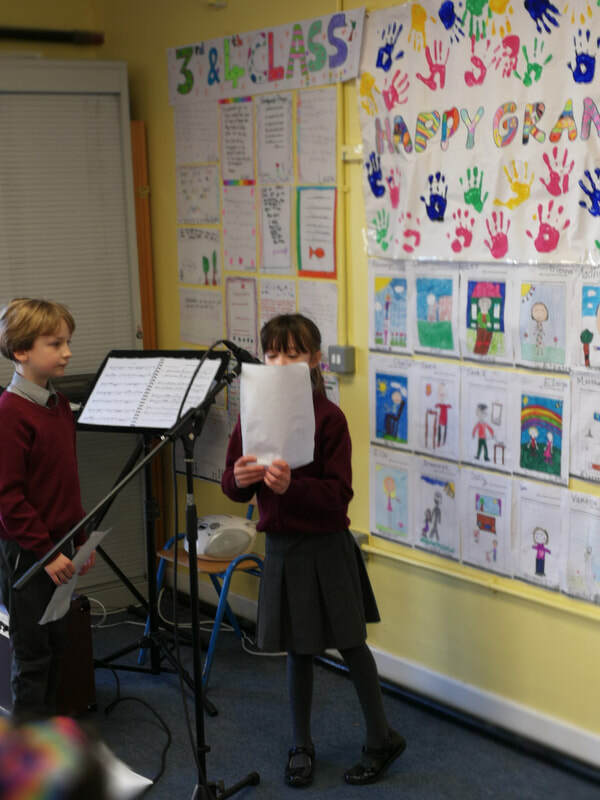 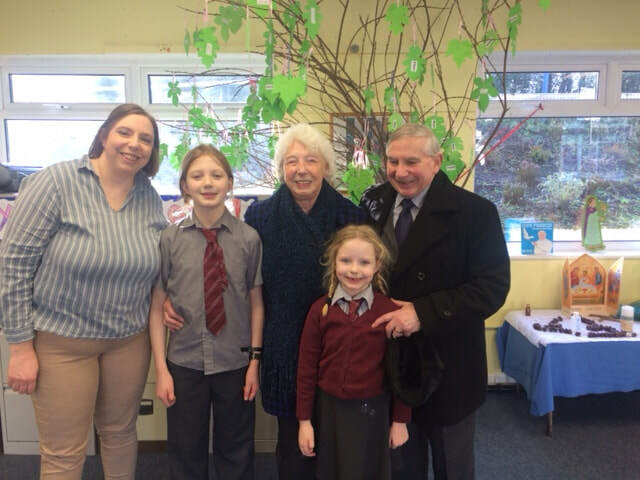 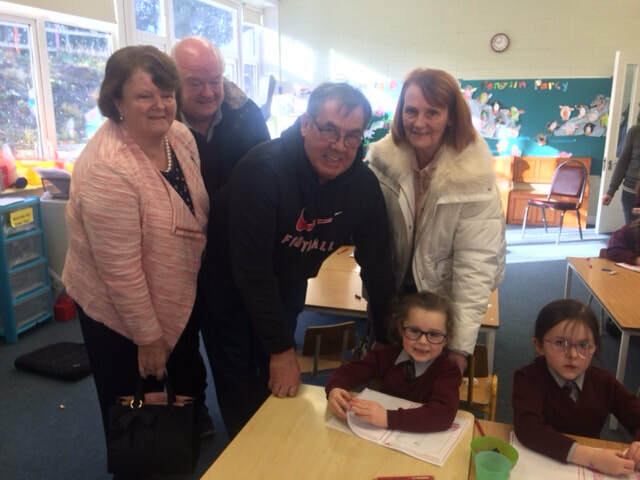 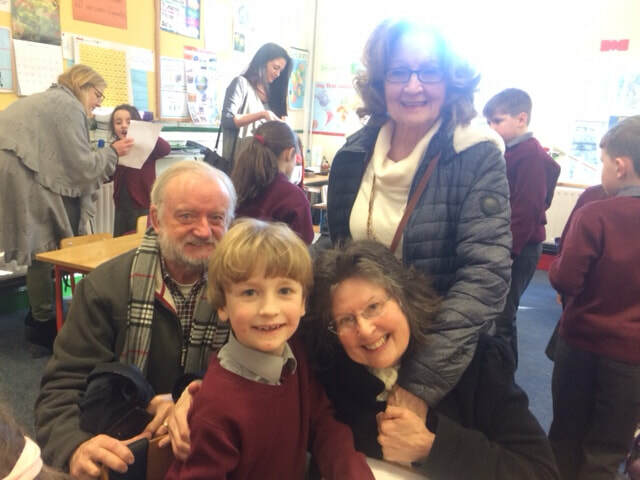 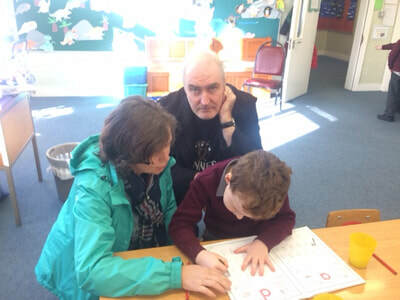 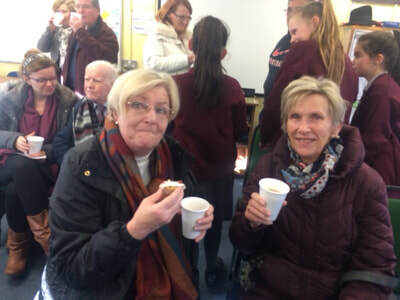 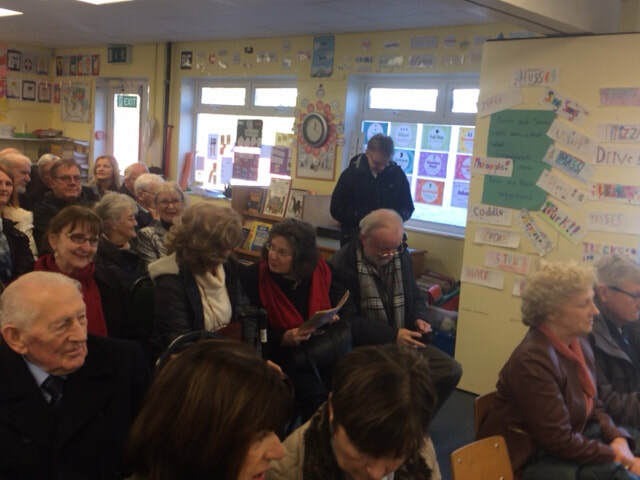 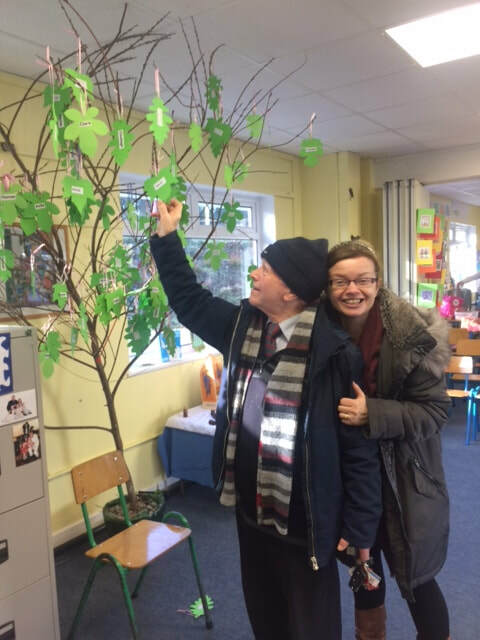 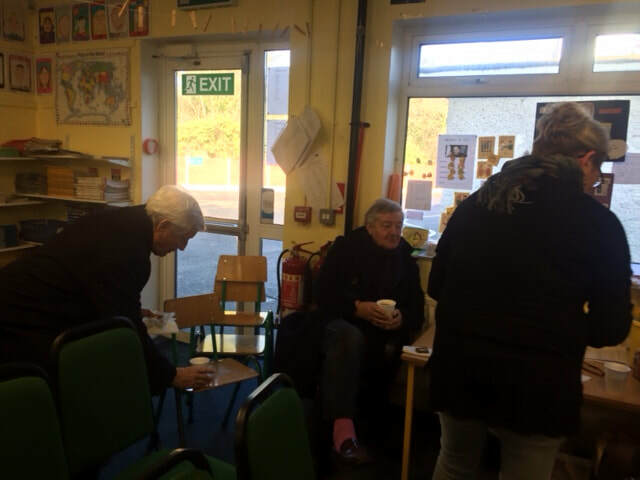 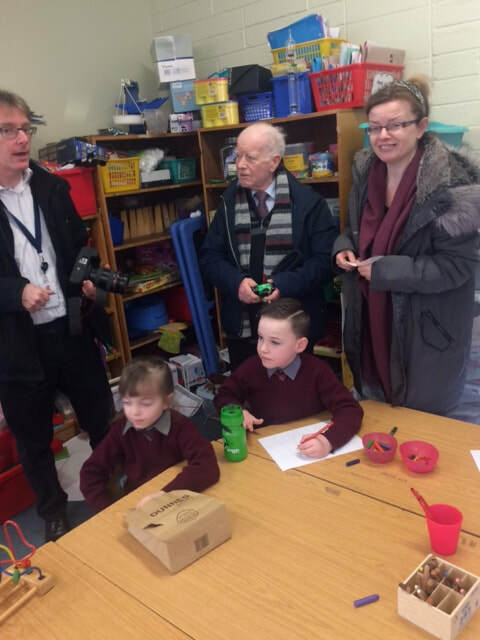 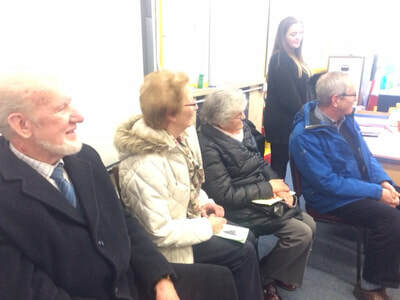 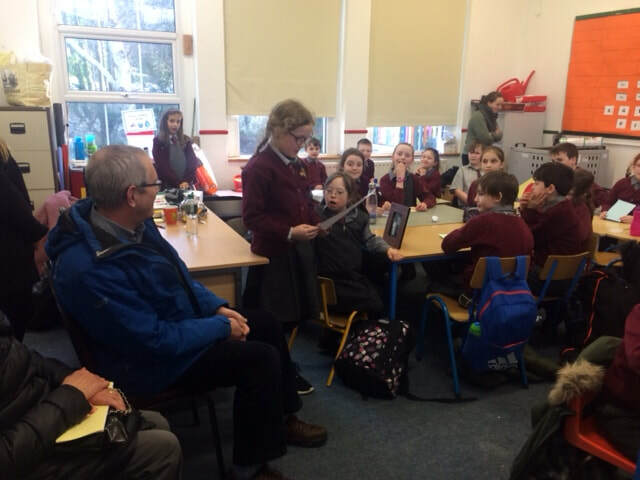 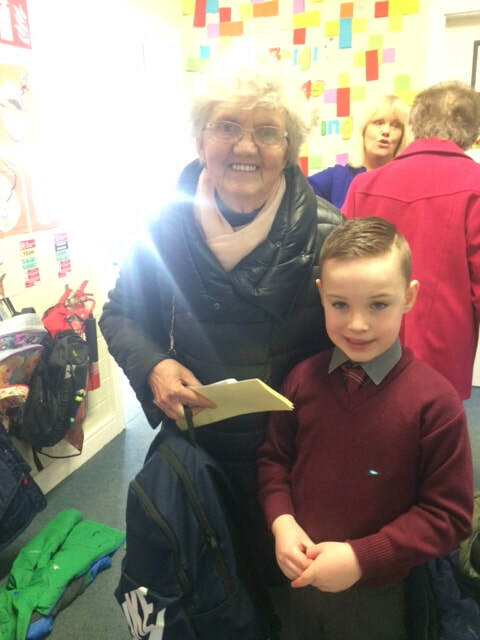 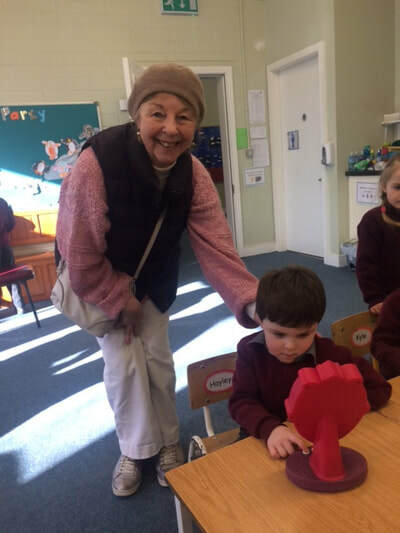 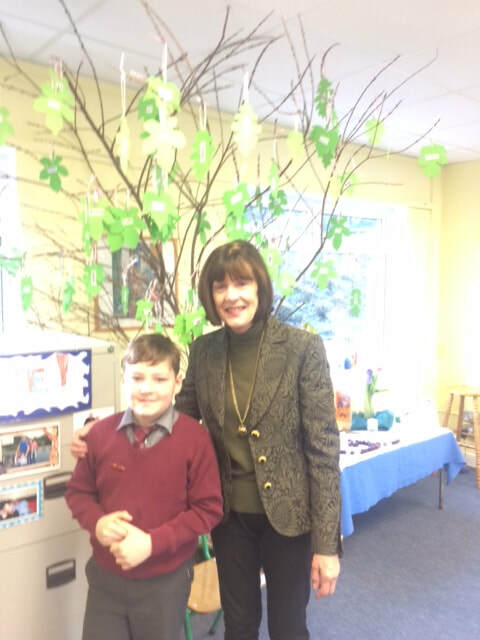 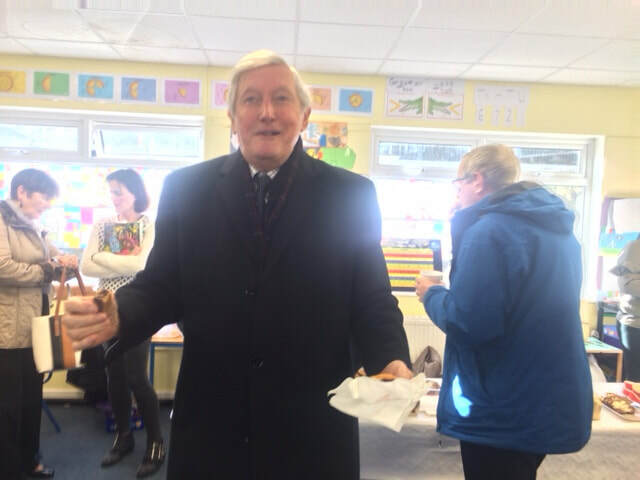 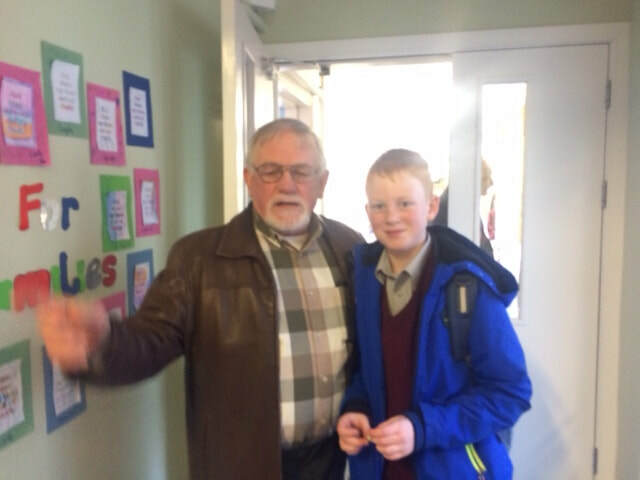 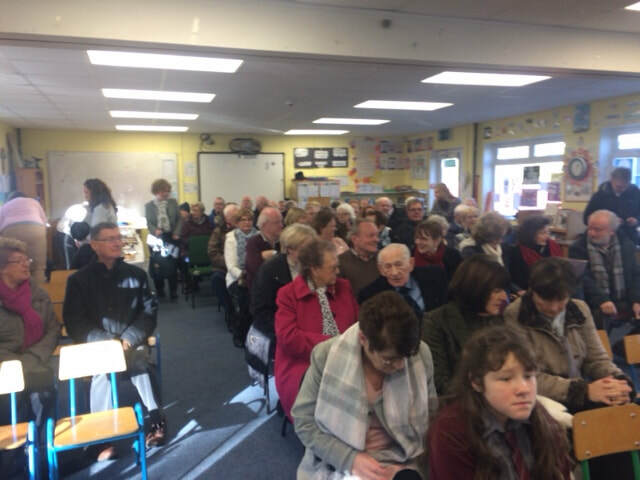 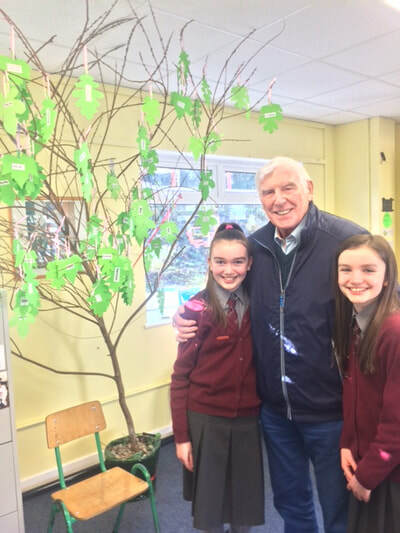 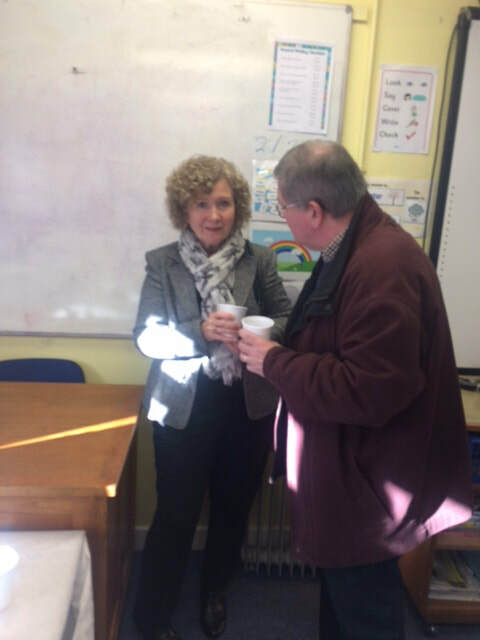 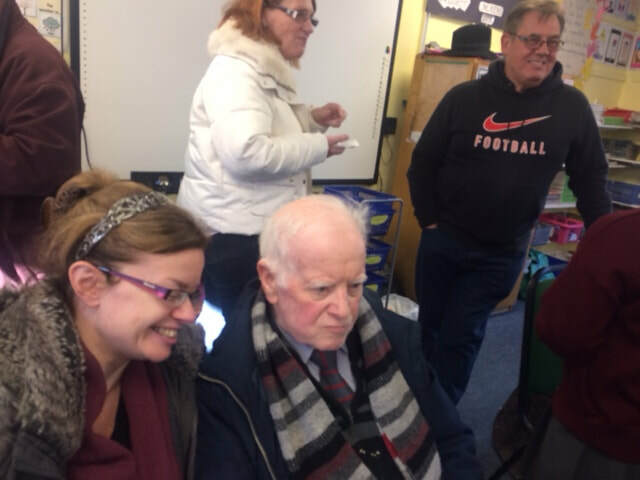 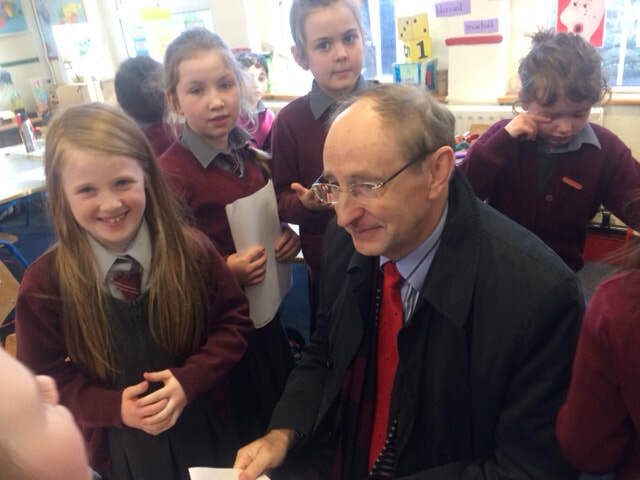 The grandparents then made their way to the classrooms to visit their grandchildren and see the wonderful work they have been doing with their fantastic teachers. It was a great day - you could feel the love in the air!